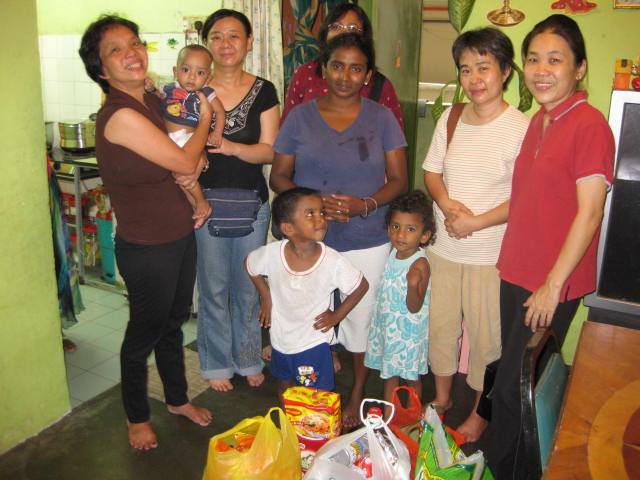 Suriana Welfare Society For Children is a registered child focused non government organisation(Reg No 0892-10-SEL) set up to advocate for children in crisis. Established in June of 2010, the organisation has a mission of speaking up for the protection of children in crisis situations. Suriana seeks to advocate rights of children through empowering the community, training and development programs and as well as projects within the community. 2. Intervention – To intervene into the lives of young people who are in difficult situations. This would include juvenile offenders, abused and neglected children and children at risk. To set up projects that would provide support for children taking into account their best interest. 3. Empowerment – To empower children and the community to have effective programmes and activities that would enable children to be protected and provide an opportunity for them to develop their skills. Suriana will hold campaigns on specific children issues that will encourage people to take action in protecting, developing and preserving the rights of children. For the next two years, Suriana will focus on a campaign to promote Child Safety. Training programmes and collaborative projects with the government and civil society groups will be carried out towards to work towards keeping children safe. Suriana is in the midst of advocating for a diversion programme with the Prisons & Welfare Department so that young offenders and those who are termed as “beyond control” will have a timely intervention to prevent further spiral into a possible life of crime. Suriana is developing a mentoring programme for juvenile offenders and those at risk so that each one of them will have a mentor who will provide guidance, advice and support. Suriana plans to empower the Orang Asli community by providing them the needed finances, resources, training and mentoring to ensure that the teachers are effective in teaching the children within their own village. Suriana Drop-in Centres will target low cost flat areas, by providing activity centres that will introduce creative activities and personal development programmes with the aim of building safe havens for the children and reducing influences of gangs, drugs and vice. We need volunteers to help raise funds or organise fund raising and awareness events. Find us on Facebook, here.